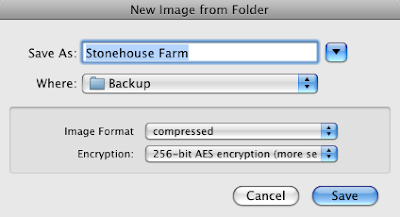 If you are backing up or archiving to DVD or other non-ACL'd media, encryption is a desirable option. 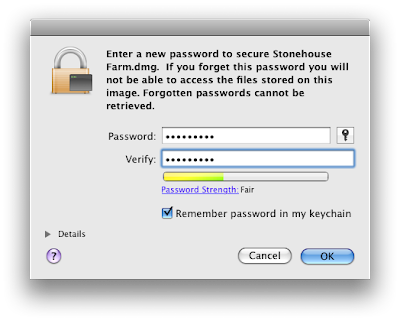 Sadly OSX doesn't have any good encrypted zip possibilities. Imagine if you backed up your profile to DVD, someone got hold of the backup and now has access to all those banking web sites with saved passwords etc. OK so they would need to get your keychain password, but there is a better way. 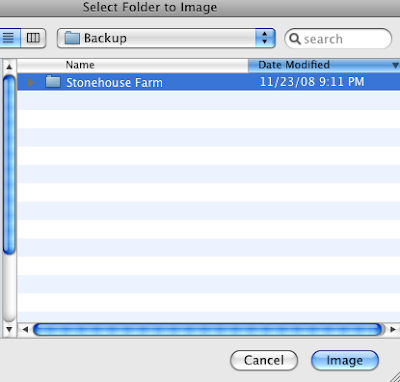 What we can do is to create an encrypted Disk Image using Disk Utility. Select the folder you want to turn into a disk image.